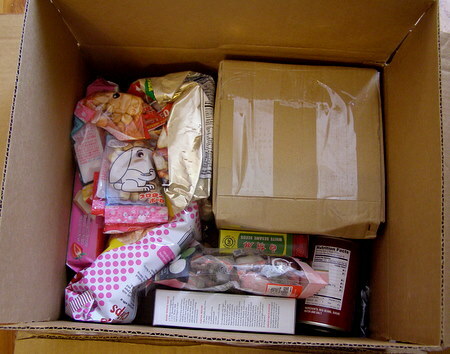 I love buying imported food online. It’s so easy: no driving, no rush, no pants, even, if that’s what I feel like. 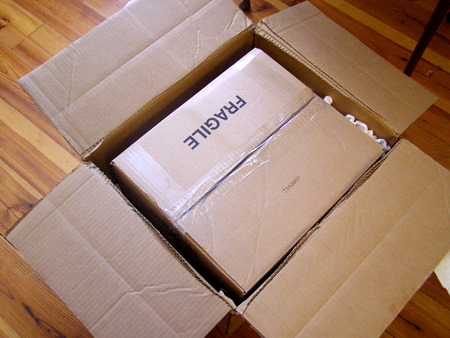 Of course, the shipping fees add up, but the lack of sales tax helps, and shipping gets more reasonable the larger the order. Despite a great experience with Asian Food Grocer (review), I placed my latest order with the Pacific Mercantile Company, a family business based in Denver, Colorado. Like AFG, Pacific Mercantile Company specializes in Japanese food, except they have a much larger selection: they sell 4 kinds of chirimen, for example. I placed my order Saturday afternoon (April 18th) and received the package Friday, April 24th (they process orders Monday through Friday). The store offers Fed Ex shipping; I chose Fed Ex ground and my shipping cost $23.75 (the order included a 15 lb bag of rice). The shipping fee also ended up being $5.50 less than originally quoted, which was nice. I prefer Asian Food Grocer’s packaging: this order came with messy styrofoam peanuts and items crammed together (above; everything arrived in good condition, though). AFG also used new, logo-stamped boxes, while PMC’s boxes had clearly been recycled. So AFG wins on aesthetics, while PMC scores environmental points (intentional or not). Summary: The Pacific Mercantile Company offers fast shipping, good-looking products, and superior selection (at least for Japanese imports). On the downside, they’re not always the cheapest, and their packaging & website can be rough around the edges. I will definitely buy again from them, though. Highly recommended. 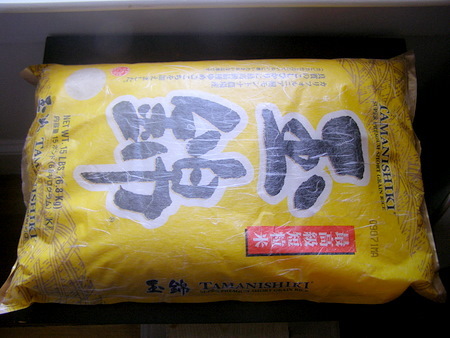 Tamanishiki short grain rice (15 lbs), $20.99. Tamanishiki rice was the reason for the order: I’d run out of it after making chicken teriyaki, and PMC had the best price (see above). Tamanishiki is a premium blend of koshihikari & yume gokochi rice; I didn’t realize how much flavor rice could have until I tasted it. It is worth every penny. 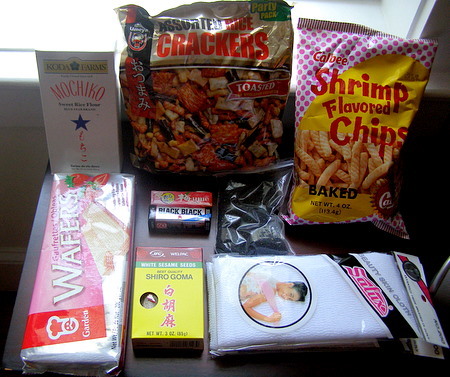 Garden strawberry wafers, $1.09; Mochiko sweet rice flour (16 oz), $1.99; Umeya assorted rice crackers, $4.69; Lotte ume gum, $1.35; Lotte Black Black gum, $1.45; black & white sesame seeds, $1.79 each; Calbee shrimp flavored chips, $1.39; 3 Salux wash clothes (white), $3.29 ea. (sale). Rice flour & sesame seeds are cooking staples, and I always order shrimp chips. The black sesame seeds arrived in a plastic bag instead of a box, which was odd. However, the black sesame seeds are now sold out online, so I’m guessing PMC ran out of boxes, and tried to honor my order with the next best thing. After a few bad experiences, I also decided to give rice crackers one more go. Happily, Umeya assorted rice crackers are delicious. Maybe because they’re made in America, they suit American tastes better? Finally, Salux washcloths are one of those “sweet mystery of life, at last I found thee” items. One day, I’ll dedicate a post to their glory. Left to right, clockwise: Kyoshin green tea & mugwort mochi (8pc. ), $4.29; Kyoshin red & white mochi (8pc. 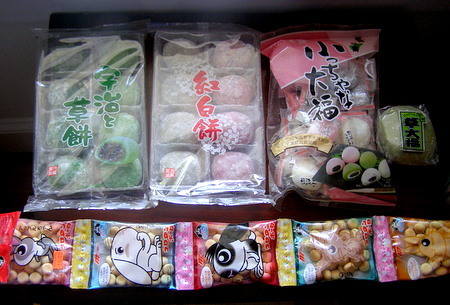 ), $4.29; Chicchana daifuku manju, $4.89; Kibun daifuku mochi (Kusa flavor), $1.39; Marukin 5-Pack honey puffs, $1.69. Above, reason #1007 not to buy food when hungry: I bought four types of mochi/manju (as well as rice flour & red bean paste to make my own), and I’m not even sure I like the stuff. I also got suckered by the honey puffs packaging (those pleading bunny eyes!). They taste like crap. Canned sweet red bean paste, $3.59; Suntory C.C. 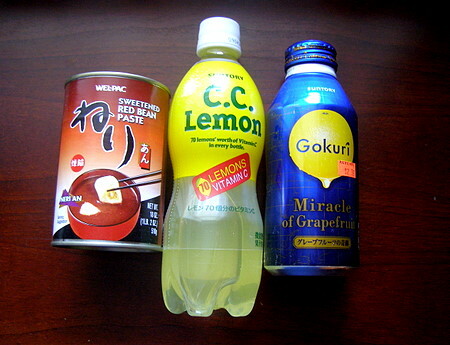 Lemon (16 oz), $2.39; Suntory Gokuri “Miracle of Grapefruit,” $2.39. Last but not least: I finally found canned sweet red bean paste, and bought Gokuri “Miracle of Grapefruit” for the cool name. I had to try C.C. Lemon too (it’s the #3 soft drink in Japan), even though the “70 Lemons Vitamin C” is a dirty lie.